Happy Tuesday ladies! Hope you’re all having a great week, ours has been busy and I swear this year is flying by. I can’t believe it’s almost October! We started demo on the girls’ bathroom yesterday, and I’m so happy it’s finally happening. Funny story (or not really lol) – we paid for this reno and have had all of the products sitting in our garage since March of 2016 – crazy right?! There were a couple contractor issues (not on our end), and once we finally found new contractors, we had to wait for their schedule to open up. Anyway, super excited to get it done! The bathroom was desperate for a makeover (I’ll share full before and afters) – the vanity top had a huge crack in it and the people who lived here before us filled it with cement ha! Okay, on to today’s look. 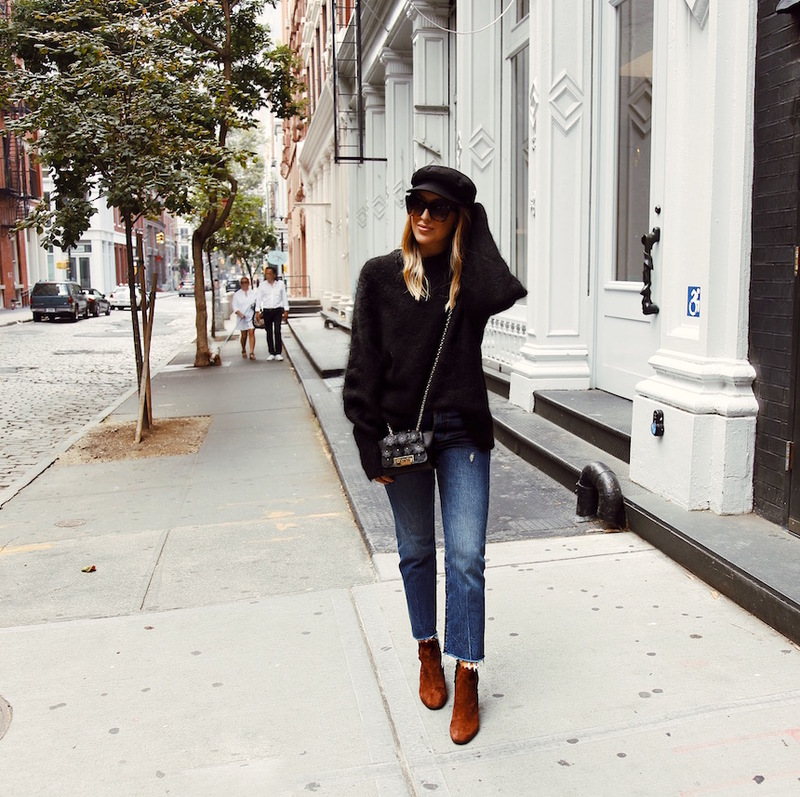 This is pretty much my fall uniform – a cozy oversized sweater, jeans, and booties. I’m so into this hat trend right now, hop on board! There are so many cute ones out right now – love this one and this one! 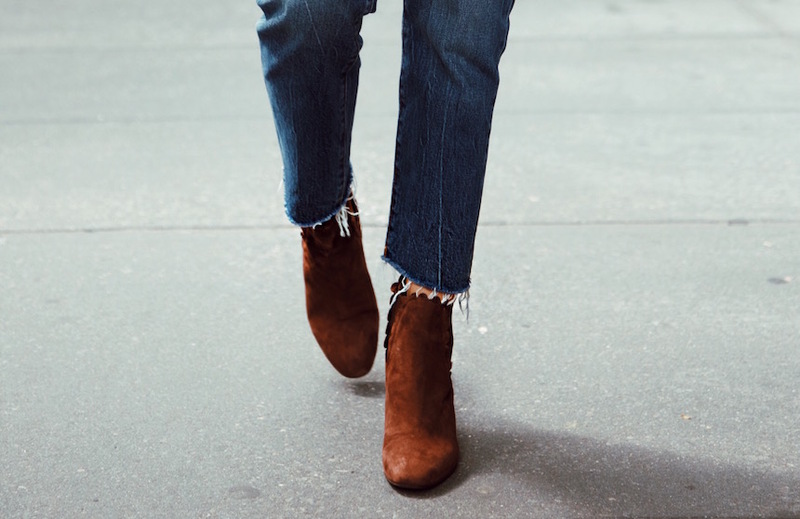 When I first saw these boots I thought they were a version of this pair from Chloe. Sooo when I spotted the price tag, I snagged them immediately! I had a lot of requests to round up my favorites from Gilt so here they are: this pair (I ordered), these, these, these, and these! All under $150! Use the code GIMME15 to get an extra 15% off your order. 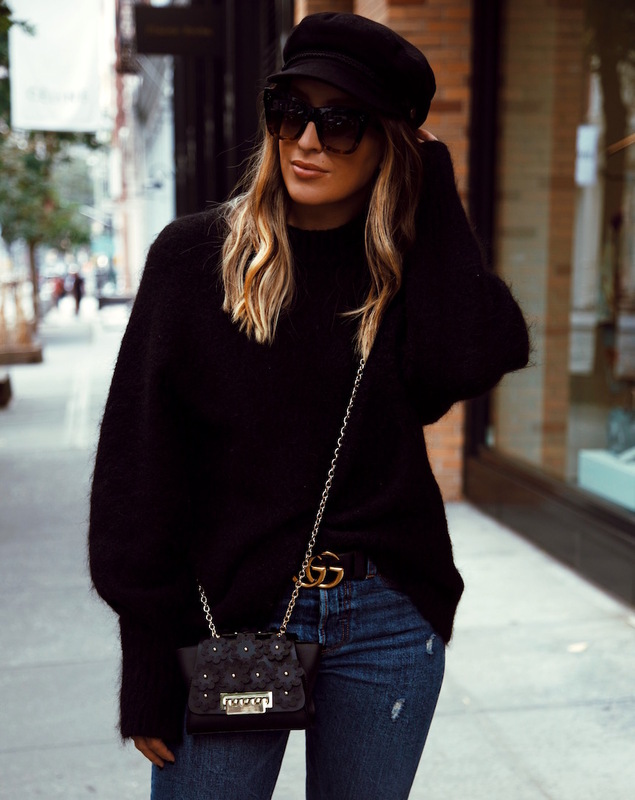 I just love that black sweater. It looks so cozy! I just ordered these Levi’s on Sunday! How funny. I love Levi’s I can’t wait for them to get here, they look so good on you Brooke. Amazing outfit! Can you tell me on the booties I am 8/12 should I do a 9?